A few days after the news broke that a 3d Printed Assault Rifle part was tested, Representative Steve Israel urged congress to renew a bill called the Undetectable Firearms Act. Passed in 1988 and renewed by Bush, the act makes makes it a federal offense to create, sell, or own a gun that is not detectable by metal detectors. The bill expires in December 2013, and Israel is using the recent headlines of 3d printed guns to generate press about undetectable firearms. 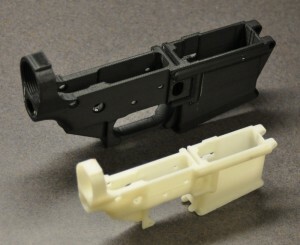 In reality, a completely 3d printed gun is a long way from being made. Current 3d printing plastics don’t have enough strength to withstand the stresses of a bullet being fired. As we’ve mentioned, someone could use plastic to test their components, then print in metals. But then the gun would be detectable, and not controlled by this law. Instead, it would be controlled by Title 1, or the Gun Control Act of 1968, just like normal firearms. Under title 1, federally, anyone with a gun license can make a pistol or revolver. But states can and do make their own laws prohibiting creating firearms without a firearm manufacturing license. In California, creating a “zip gun” or unconventional pistol is illegal. 3d printing materials will undergo a technological revolution in the next few years, but it’s unlikely we get the kind of nanomaterials strong enough for firearms other than metals anytime soon. That makes this law irrelevant for 3d printed firearms. Israel is using 3d printing headlines about plastic guns to generate fear to raise support for renewing the bill. Any firearms made through 3d printing are already controlled under the same gun control laws already on the books. Even all-plastic guns would be controlled. The law he wants to renew just makes it even more illegal to make, own, or sell non-detectable, all plastic guns. Barring large material science advances, this bill has nothing to do with 3d printing, and talking about 3d printing in relation to the bill is just fear mongering.